This healthy minestrone soup recipe might just help you live to 100! Try the healthy minestrone soup that might just help you live to 100! This bountiful dish is eaten for lunch every day by the world's longest-lived family, the Melises. Could a simple, inexpensive and easy-to-make soup help you live longer? It's certainly worth a try — especially if that soup is as delicious as this minestrone from the book "The Blue Zones Solution: Eating and Living Like the World's Healthiest People." In the book, author Dan Buettner explores the lives and eating habits of groups of people renowned for their longevity. 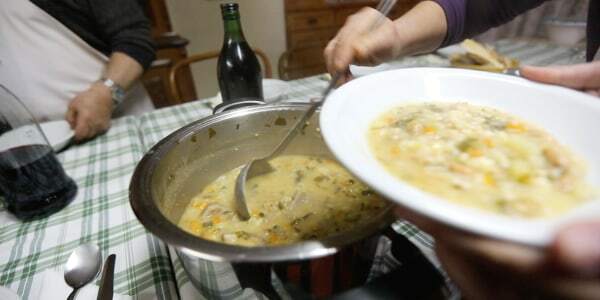 The hearty soup recipe, which comes from a Sardinian family who Buettner calls "the world's longest lived family," is chock full of beans, vegetables and herbs so it's as satisfying as it is tasty.